Victor is a well-to-do Town in Ontario County of about 10,000 inhabitants with strong ties to the greater Rochester area. Michaels & Smolak represents personal injury victims from Victor, including a family traveling in a car struck by another car that failed to stop at a road sign. One of the children suffered fatal injuries and another suffered serious bodily injury. Most of the personal injury and medical malpractice cases Michaels & Smolak accepts from the Victor area are referred to the firm by lawyers who have law firms in or near Victor. 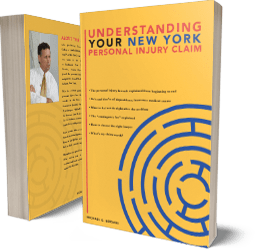 Michaels & Smolak is based in Auburn, New York, but its lawyers travel all over upstate New York to meet with clients and to present cases in courthouses. Michaels & Smolak's lawyers pride themselves in delivering direct lawyer-to-client service. Many lawyers rely on paralegals or others to communicate with their clients, but Michaels & Smolak's lawyers prefer to know their clients. Many, many of the firm's former clients remain their "friends" long after their cases are resolved.